Lydia (9) wants to stay in the Netherlands since she was born here, but her parents have to leave because they’re from another country. To prevent being found and sent back, they need to keep moving. In Lydia’s made up songs she sings the truth; she’s tired of switching schools and leaving friends behind. A children’s jury has declared Lydia Blijft as the best Dutch youth documentary of the year. The Media Fund award Kids & Docs grants the makers €15,000-, to be used on a new youth documentary. The members of the children’s jury announced the winner during the award ceremony of the documentary festival IDFA. Through this award the Media Fund wants to emphasise the importance of the youth documentary to the Dutch documentary industry. Dutch youth documentaries are shown at leading film festivals around the world, winning lots of prizes. Out of 21 youth documentaries made last year, four films were selected by a jury of professionals: Catherina van Kampen, Thomas Vroege and Hansje van Etten. They chose documentaries that touched and inspired them, each adding to the genre in their own unique way. Lydia (9) wants to stay in the Netherlands since she was born here, but her parents have to leave because they’re from another country. To prevent being found and sent back, they need to keep moving. In Lydia’s made up songs she sings the truth; she’s tired of switching schools and leaving friends behind. 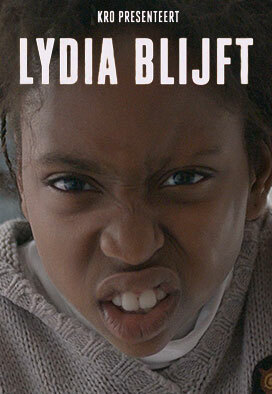 A children’s jury has declared ‘Lydia Blijft’ as the best Dutch youth documentary of the year. The Media Fund award Kids & Docs grants the makers €15,000-, to be used on a new youth documentary. The members of the children’s jury announced the winner during the award ceremony of the documentary festival IDFA. Through this award the Media Fund wants to emphasise the importance of the youth documentary to the Dutch documentary industry. Dutch youth documentaries are shown at leading film festivals around the world, winning lots of prizes. Out of 21 youth documentaries made last year, four films were selected by a jury of professionals: Catherina van Kampen, Thomas Vroege and Hansje van Etten. They chose documentaries that touched and inspired them, each adding to the genre in their own unique way.